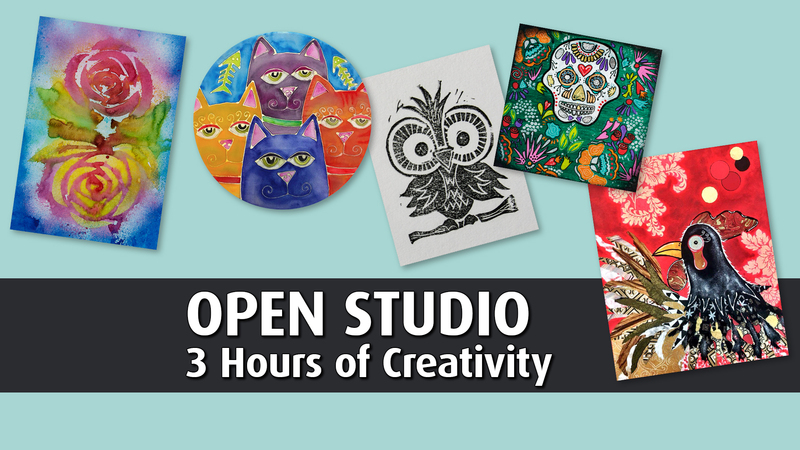 $36 plus supplies - 3 hours to work on your own projet! Have you purchased a product at Allards that you need help using? Or maybe you’ve attended a class but didn’t finish your project. Either way we have the solution... join us for open studio! Once a month we will offer the opportunity for you to come in and work on your art and Laura will be available to help with any questions you may have. Stay for a couple of hours or stay all day, it’s your choice. It will be fun and creative time! The beginning of a project! Work on what you want! This is your chance to create your own class and Laura will help you flush out some amazing ideas. - You must register & prepay for the class in advance, as seating is limited. - Please arrive at least 10 minutes before the start of your class for setting up and signing in. - Pricing, Dates, and Times subject to change. - Cancellations may be refunded up to 72 hours prior to the start of the class.